You went through the stress and anxiety associated with the divorce process. You disclosed all of your assets and liabilities and were able to get your divorce finalized. Six months later, you discover your spouse had an offshore bank account that was not disclosed or mentioned throughout the entirety of the divorce proceedings. What should you do? Texas Family Code §§ 9.201 and 9.203 address this issue. 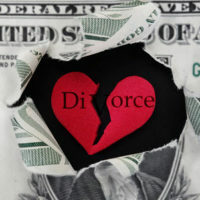 The only assets that can be divided in a divorce are those that actually exist when the divorce is filed. This means that assets disposed of at a time before you filed for divorce are not divisible. However, if you discover your spouse committed fraud and intentionally hid or disposed of assets, then your marital estate can be reconstructed to include the assets that were hidden or disposed of. This means that, post-divorce, your Houston divorce lawyer will need to produce evidence showing that the hidden or disposed assets were in existence during the divorce. In divorce lawsuits, the spouses typically exchange sworn accountings that detail each party’s assets and liabilities, including their position concerning the characterization of each asset as either community property or separate property. As mentioned, this is a sworn accounting, meaning it is submitted under oath. The objective of preparing these sworn inventories is to ensure the accuracy of the assets being divided during your divorce. A Texarkana Court of Appeals case, In Re: the Marriage of Binnaabah Ford and Joe C. Ford is a prime example of post-divorce asset discovery. In this case, a wife discovered undisclosed assets two months after her divorce was finalized. After she discovered the assets, the wife filed a new lawsuit seeking reformation of the marital estate and division of the undisclosed assets. The husband testified that the undisclosed funds were used on “community expenses” during the divorce, including financial support for the wife. Here is where the wife’s case fell apart – she could not show the existence of the undisclosed funds at the time of divorce. On that basis, the trial court denied decided in favor of the husband. As you can see, it is critical to produce sufficient evidence to support the existence of the hidden assets during the divorce. Ways to accomplish this would include tracing the funds to a bank account that existed at the time of divorce. You can also analyze the divorce decree entered by the Judge to see if there is a provision concerning general division of assets. In many divorce cases, it is common for a court to use broad language for the award of bank accounts, retirement accounts, and so forth. In addition, you should examine the discovery that was completed during the divorce including whether a request for production of all documents pertaining to assets and liabilities. This is important because if you failed to exhaust all available discovery options, it could create a waiver of a post-divorce suit for undisclosed assets. You need experienced and detailed legal counsel to make sure that a thorough examination of your spouse’s assets and liabilities. The Houston divorce lawyers at Lindamood & Robinson, P.C. are here to help you. To learn more about our legal services, contact our office today.